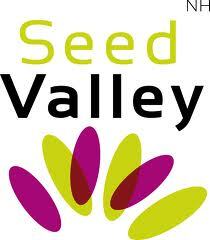 SeedCare BV is a family business in the Netherlands, located in the heart of the Seed Valley, with a rich history. Our reputation as a reliable, professional, and independent seed production company has been a household in the worldwide seed industry for over 80 years. Our main activity is the production of seeds (greenhouse vegetables and ornamental plants) and relieving breeding companies, besides that we are also active in vegetative increments, cultivation and production of ornamentals for the flower auction. Our company culture is characterized by transparency and flexibility towards the customers. An important aspect in the seed production of greenhouse vegetables and ornamentals is the fact that SeedCare BV only produces seeds at contract basis for third parties. SeedCare BV seed productions has no own breeding or seed production lines of pollinated seeds, conservation or hybrids, but only uses the offered parental lines of the customer of whom the concerning contract is. It goes without saying that we use the name and the seed production of the client very discretely. Reliability is a keyword in our relation with customers. Would you like to contact SeedCare BV seed production, use the contact form or call us (+31) 229-501267. I hope you will have an informative visit to our site. Mark Keulen (owner of SeedCare BV).